Last week I shared our journey into the Elqui Valley in Chile which was full of blue skies and beautiful, dry landscapes. 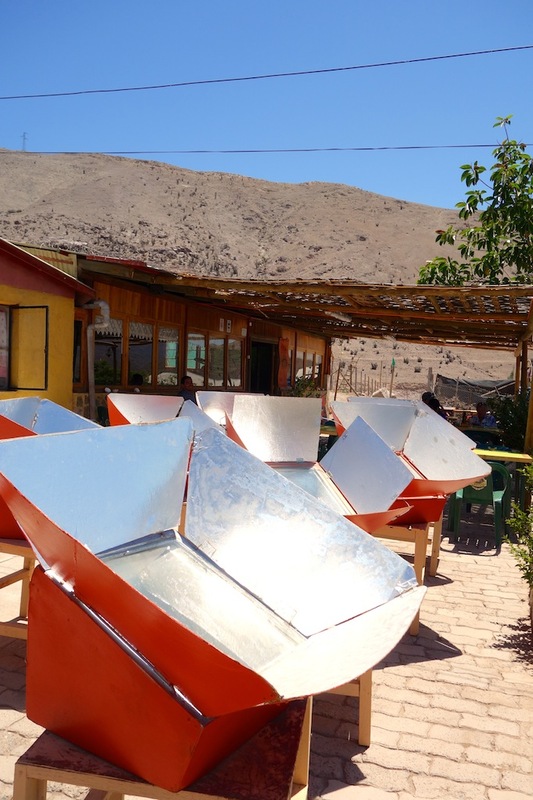 Once we arrived we headed to a solar powered restaurant in Villaseca called Delicias del Sol, which is just outside Vicuña. 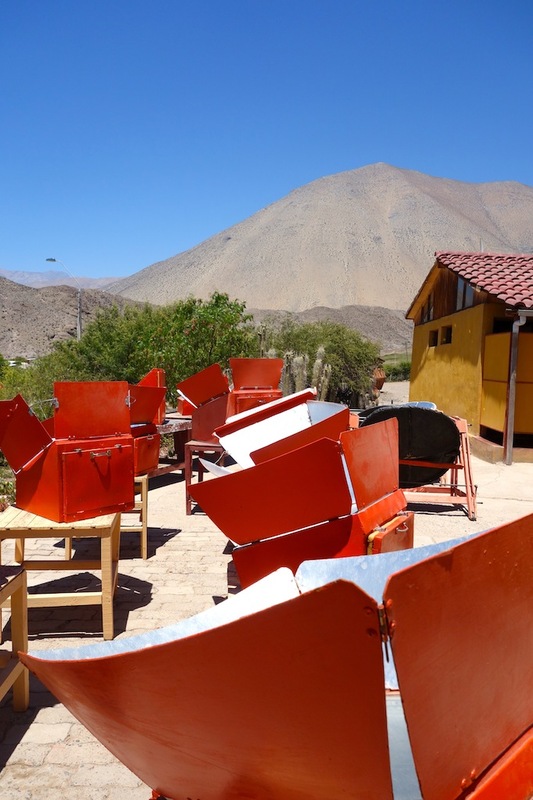 There are a few in the area due to the 340+ days of sunshine per year and all of the food you are served is cooked in a solar powered oven, and you can see it all being cooked in the blazing sun. It was a a very unique lunch spot! The ovens are these strange looking boxes. The food is put in the back and waits to be cooked by the sun. 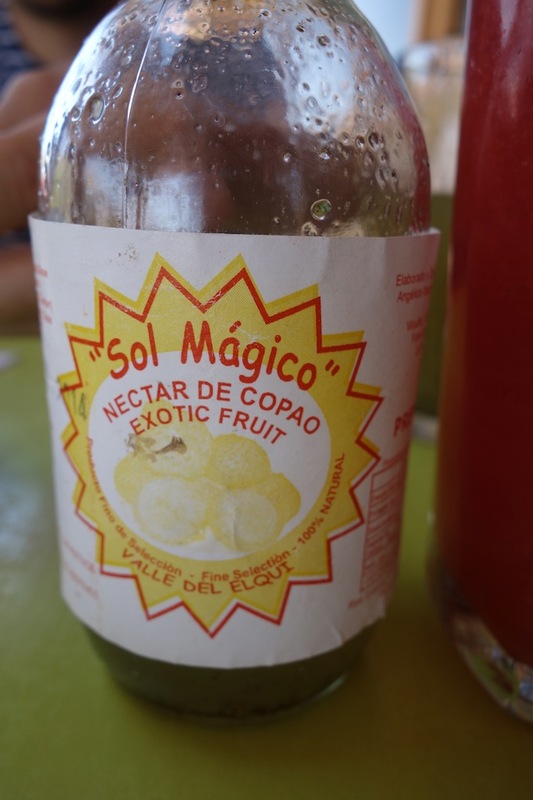 We started with some locally produced fruit juice, some warm bread (cooked in the solar oven) and pebre. 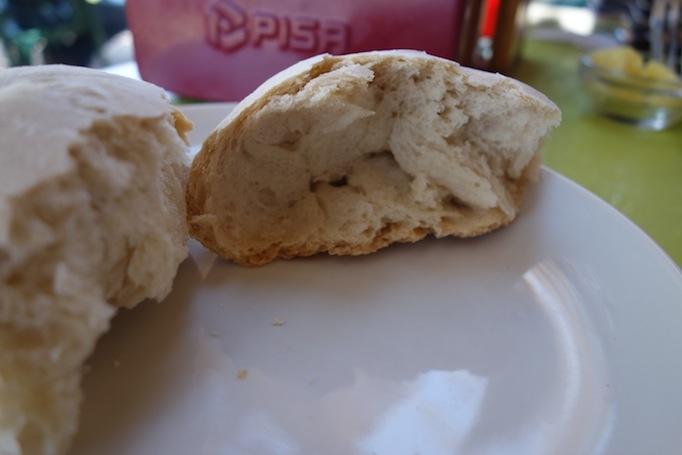 Pebre is one of my favourite foods in Chile. It’s a mix of tomatoes, coriander, olive oil and garlic. 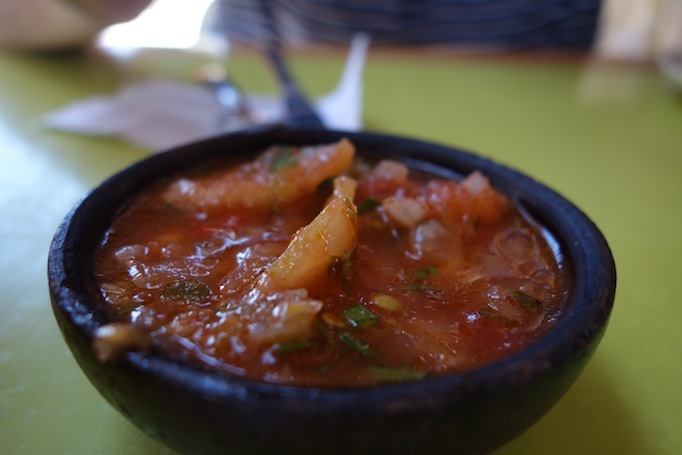 It’s put on bread and empanadas and also used as a dip for crisps and crackers. It’s delicious! 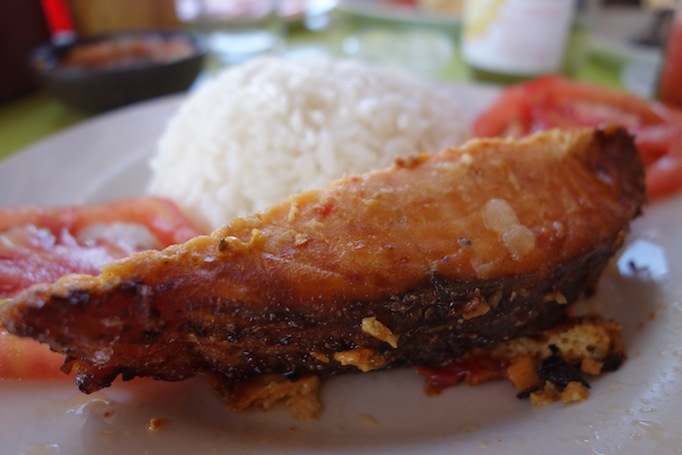 For the main event I chose salmon served with rice and salad. Where is the most unusual place you have had lunch? 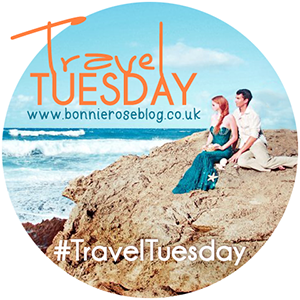 Travel Tuesday link up with Courtney, Cynthia and Yalanda. 🙂 I thought it was really unique! Chilean food looks and sounds DELICIOUS! Especially the pebre you speak of 🙂 What a unique place that you can see your food being cooked- I love that. Great photos as well! Wow! 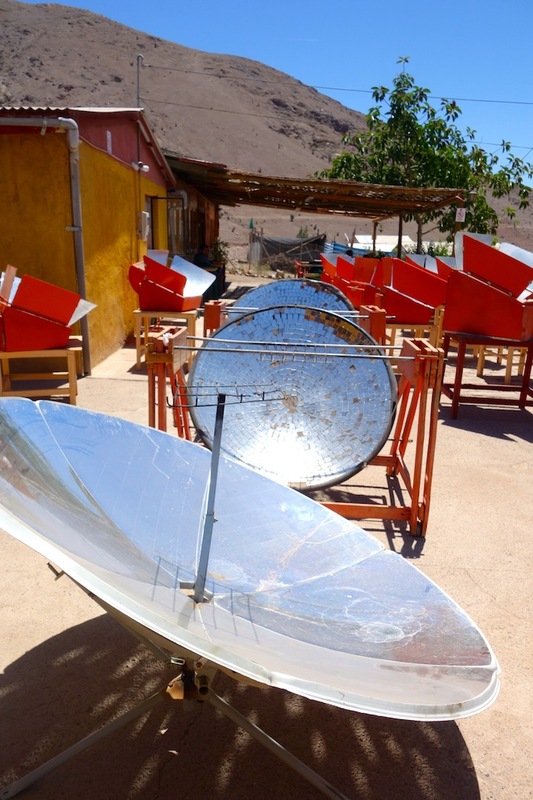 I love the idea of a solar oven! What a great idea! I had a similar experience in Lanzarote (one of the Canary Islands) where they serve chicken cooked with the heat from a volcano! Such a cool concept! Wow, that sounds even cooler 🙂 What a great idea! Wow! I’ve never heard of a solar powered restaurant before. I think it’s a great idea, especially in rural/developing areas that don’t have reliable electricity. It seems to be safer and better for the environment than cooking over a fire. I hadn’t either! It makes perfect sense in a place that has so many days of sunshine per year!